A registry cleaner is any program that scans computers for registry errors such as double entries, missing files, malicious files, and/or file conflicts, and takes actions to correct them. When these problems occur in the registry, the performance of the entire system can be affected. Registry cleaners can help reverse these effects and return a computer to its maximum performance. 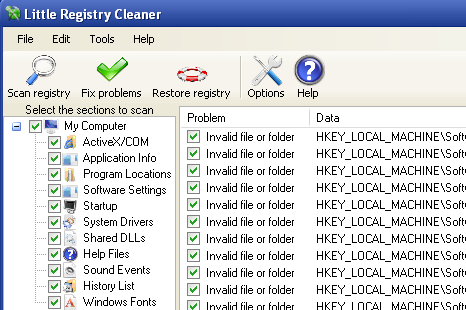 Registry cleaners often include a database of registry files, may or may not be connected to an online server, and may include additional features that increase a computer’s performance. This article will list a number of free registry cleaners that allow users to clean and update their computer’s registry so that maximum performance can be achieved. LilRegCleaner (Little Registry Cleaner) is a free, open source registry cleaner that allows users to scan their computers for registry errors such as double entries, missing files, and corrupted files. By scanning the registry and correcting errors, users are able to return their computers to maximum performance. LilRegCleaner increases the computer’s speed and fixes problems related to computer crashes, device corruption, and similar errors. 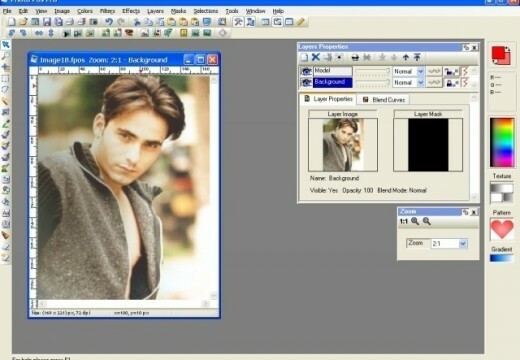 The software can be downloaded from Little Apps. Eusing Registry Cleaner is another registry cleaner designed to increase the performance, speed, and quality of the user’s registry by removing double entries, repairing corrupted files, and replacing missing files. The software is also capable of removing invalid files for uninstalled programs that leave traces on the computer. Eusing Registry Cleaner offers a solution for common registry problems that negatively affect computers. The software includes copies of original registry files and has a user friendly interface that makes registry cleansing fast and easy. Eusing Registry Cleaner is available for free download at the Eusing website. CCleaner is, by far, one of the most popular and user friendly registry cleaners available. CCleaner removes undesirable files such as invalid registry keys left over from uninstalled software and replaces missing and corrupted .dlls and other registry files. The software is also able to enhance the user’s online security and provide additional speed to the user’s computer by limiting the size of the user’s registry. Piriform begun charging for the new CCleaner, but a free version is still available for download on http://www.piriform.com/ccleaner. Argente Registry Cleaner is another free registry cleaner that includes its own advanced detection system to find registry problems and correct them as fast as possible. Not only can the software fix common registry errors, but it can also provide the user with a detailed list of the problems that it detected and what it did to correct those problems. The user also has full control over any actions taken to correct registry problems as some registry “errors” may not be errors at all. The software makes a backup of the entire registry before it removes or replaces files. 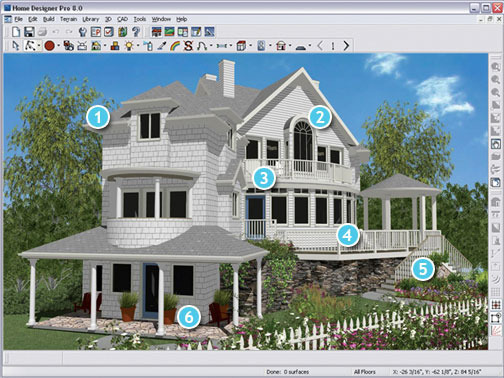 The software can be downloaded from several different websites, such as download.cnet.com, and is completely free. EasyCleaner is a compact registry cleaner that quickly scans the user’s computer for invalid and duplicate registry files. EasyCleaner allows users to remove undesirable registry files and offers a detailed analysis of how the user’s disk space is being used. EasyCleaner has a user friendly interface, supports multiple languages, and uses very little CPU. EasyCleaner is free and comes with a large help file that explains virtually everything about the software. It can be downloaded here. I would want you to add Registry Recycler in this list as well !! It runs pretty well on my Windows 8.1 and fixes the errors found. Free and Simply the one which smoothers PC operations !! You’ve got great insights about cclean, keep up the good work! CCleaner is NOT “absolutely free” I cut and pasted the website (which was not a link I could simply click on to in your information here) Piriform would not download free – they wanted me to purchase it for $24.95. Your information on this page is deceitful and mis-leading at best – and I do not even trust giving you my email – without which you will not publish my comment. New spam in my email will be blamed you you. CCleaner was “absolutely free” until Piriform started charging for it, and it can still be downloaded for free at other sites (but an older version). The intent certainly wasn’t to deceive or mislead. It was simply outdated. I updated the article with this info and made links clickable. I’m not the author of the original article though. As for blaming spam on us, good luck with that since your email isn’t published anywhere and we couldn’t care less about it. So make a new email just for this. It’s not their fault you are lazy. 194 queries in 0.469 seconds.